BioSmart Drain Maid no clogs…just clean…Guaranteed! Now you can clean your drains without hazardous chemicals! Liquid BioSmart is so powerful, it’s patented. BioSmart liquid formulation has met the EPA’s DfE challenge for biological drain line and septic system products by demonstrating a more positive human health and environmental profile. What is BioSmart Drain Maid? BioSmart, is your personal Drain Maid, a natural biological drain line, septic and grease trap maintainer that performs without harmful chemicals or additives. BioSmart Drain Maid will keep systems clean and free flowing by unleashing naturally occurring bacteria that thrive on the grease, oil and stubborn organics found in every waste water system. Daily use of household and commercial strength chemicals and detergents destroy the natural population of friendly bacteria that every waste water system relies on to reduce oily and organic components. BioSmart safely, effectively and economically eradicates the resulting organic buildup by replenishing friendly bacteria in the waste water environment, eliminating the constant greasy slime buildup and odorous residue. BioSmart Drain Maid can be safely used in all septic systems, cesspools, leach and drain fields, grease traps, vehicle holding tanks, boat bilges and all drain lines – sinks, toilets, urinals, tubs, showers, floors and garbage disposals. BioSmart Drain Maid, unlike dangerous drain cleaning chemicals, is safe for both human handling and the environment. Why is BioSmart™ superior to other microbial drain line and collection system inoculants on the market? 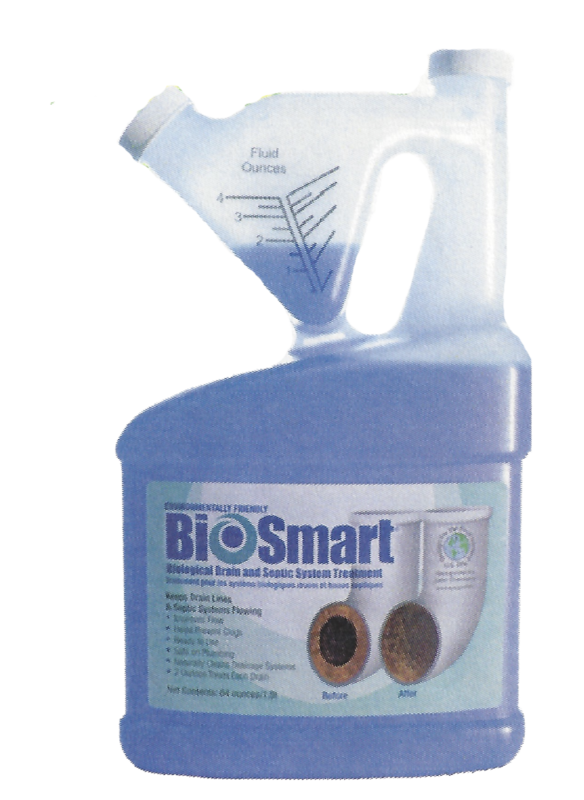 FAST ACTING – BioSmart™ – begins working immediately when introduced in a drain line or collection system. These friendly bacterial cultures do not require a wake up period as with other microbial products. EASE – BioSmart™ – is easy to use and a simple pour and go. No pre-mixing, the convenient drain back bottle cap measure is used to add the correct amount of treatment to the drain line or collection system. VALUE – BioSmart™ – requires one half capfull per treatment. One half capfull has more activity than 5 cap fulls of other bio-products. ELIMINATES EMERGENCY CALL BACKS – BioSmart™ —continues to work long after the service call. The Hungry Bacteria® continue to feed on the organic residue left in the drain line, grease trap, and septic tank long after the technician leaves. 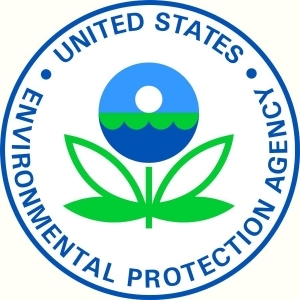 EPA LETTER RECOGNITION – BioSmart™ —has met the EPA’s DfE challenge for biological drain line and septic system products by demonstrating a more positive human health and environmental profile. 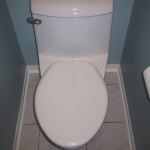 BioSmart™ is a patented microbial drain and septic treatment. Sold exclusively through plumbing and pumping contractors, call us at 865-922-9490 to have our Knoxville plumbers tell you about the benefits of BioSmart™ for you!